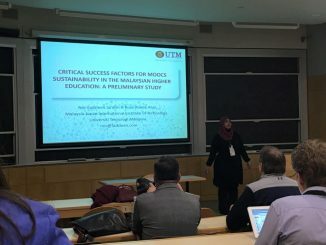 I was elated and grateful when my research paper entitled ‘Critical Success Factors for MOOCs Sustainability in the Malaysian Higher Education : A Preliminary Study’ was accepted for LINC conference at Massachusetts Institute of Technology (MIT). 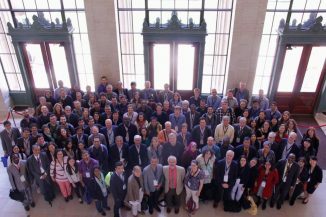 MIT Media Lab has awarded me with travel grant that enabled me to fly to US albeit limited budget. I am proud to represent my university, Universiti Teknologi Malaysia in presenting my research. The best part about presenting in an international conference is getting feedback from esteemed academics on your research. The feedback is essential to refine my PhD research. 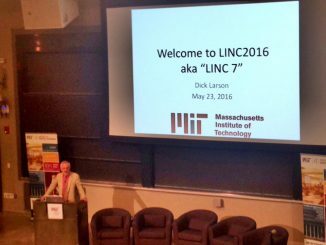 The conference delegate at MIT. What a great experience!